Performance meets Pontoon. Both the 115 hp and the upgraded fuel tank will get you further and faster than your typical pontoon. Plenty of seating and layout designed for conversing. 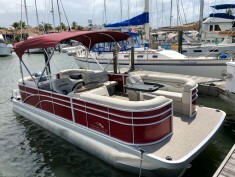 Features include depth finder, stereo as well as a large bimini top. 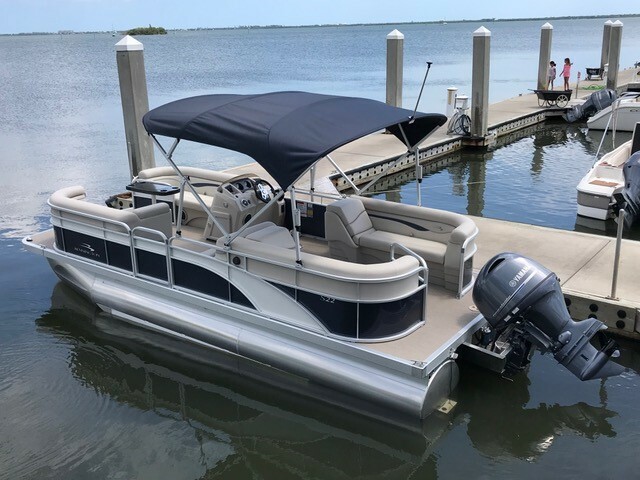 Quality built with an upscale look and feel, this pontoon is optimal for hosting family and friends on a relaxing day on the water. 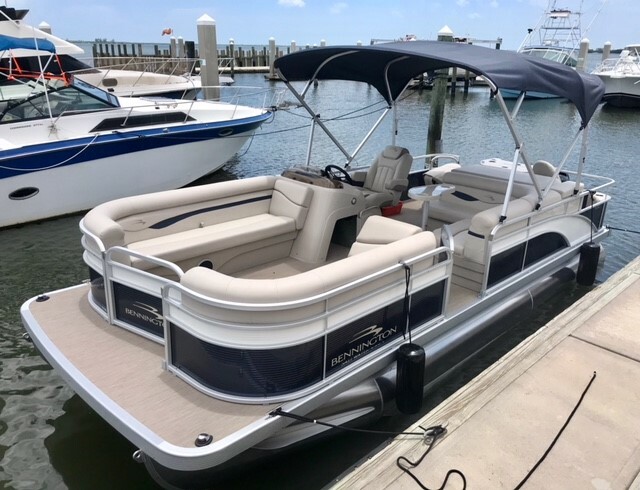 Features include: plenty of seating arranged for easy conversation, large bimini top and depth finder. 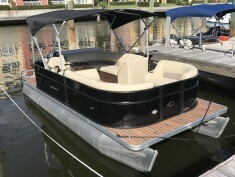 A dual purpose pontoon with a fishing center in the rear. 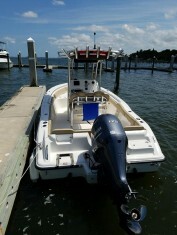 Speedy yet fuel efficient 90HP great for cruising or taking a fishing adventure with the whole family. 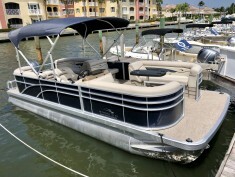 This Pontoon boat is great for fishing or just relaxing and cruising the Indian River. 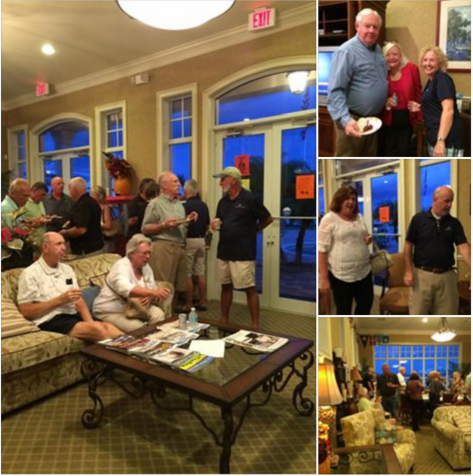 Fishing/Cruising Pontoon with Bimini Top, Swivel chairs in stern, Live well, Rod Holders, Garmin Fish Finder. 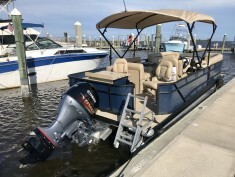 Powered with a Yamaha 90 HP. 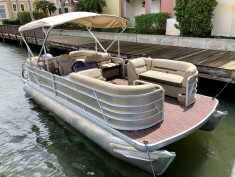 This Pontoon boat is great for just relaxing and cruising the Indian River.